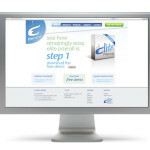 Future Creative Worked with Yuranga in Wollongong to create the new look for their client Elite Payroll’s brand. 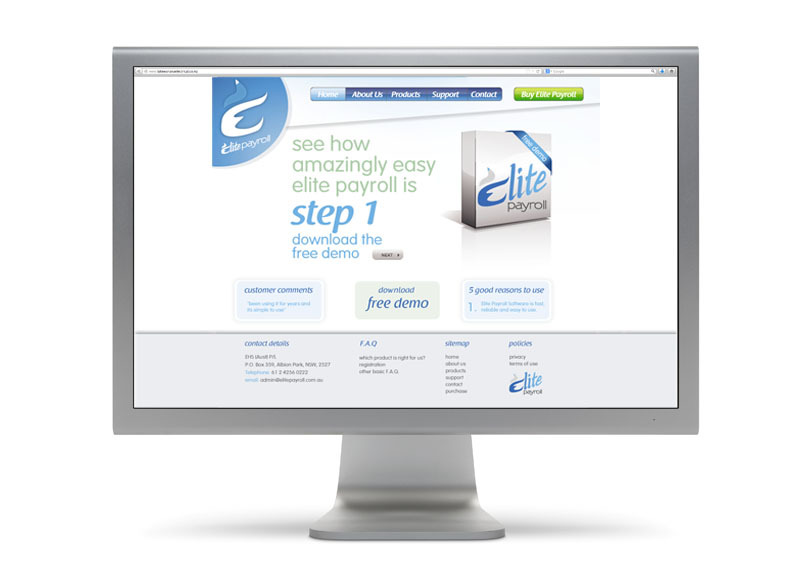 The client, a payroll software manufacturer really liked Dan’s suggestion of using use the swift to symbolise the company’s new look and direction. The colours were kept the light and fresh to give the logo a new and website a flowing feel to them. The new improved look is a far cry from their previous black based website. Future Creative created the look and feel of the website with new, easier to use navigation. Dan delt directly with the client for the logo stage and Yuranga project managed and constructed the new site. The end result was happy clients and an increase in the software product sales.